The site is owned and maintained by South Staffordshire District Council with whom the Friends of Bilbrook have a very close working relationship. In January 2012, the Chairman had an idea to create something to mark the Queen’s Diamond Jubilee. Rather than do the usual stuff, such as put up a bench or a sign we wanted to do something which left a lasting and pleasant legacy for the village. 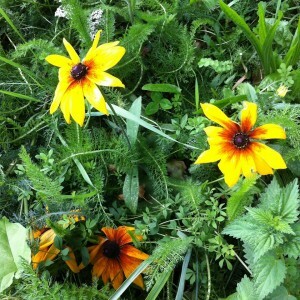 FoB applied to the Woodland Trust and were successful in obtaining 420 native, British trees. These trees formed part of a larger project to create many Jubilee woods across the country to commemorate the Queen’s diamond jubilee. One of the trees was an oak grown from an acorn from the Sandringham royal estate. 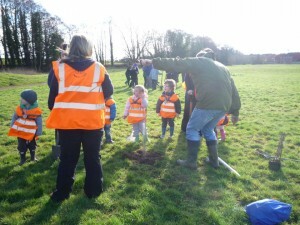 On 25th February 2012 the tree planting began with children from Bilbrook Playgroup, ABC Nursery, Lane Green First School and Bilbrook Middle School attending. The following day members of 2078 Boscobel Squadron Air Training Corps and members of the Bilbrook community completed the project. A further 420 trees donated by the Woodland Trust have since been planted in the wood. 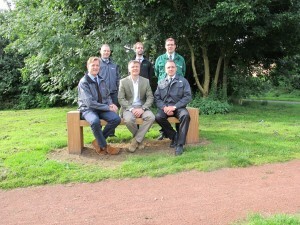 A habitat survey was completed on the wood by the Staffordshire Wildlife Trust which made a series of recommendations. As a result FoB have since created and installed; two hibernacula for small invertebrates, two barn owl nesting boxes, fifteen bird nesting boxes and four bat roosting boxes. The nesting and roosting boxes were made with Bilbrook Codsall scouts who will be making insect hotels with us later this year. Wolverhampton Tree Services kindly donated a log for the wood for people to sit on and enjoy the wildlife. 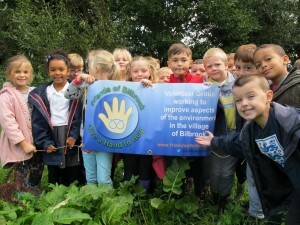 In December 2015 Forest Schools Birmingham donated another 500 trees to the wood and these were planted by children from Lane Green First School and Bilbrook Middle School. At the same time we were joined by our local MP, Gavin Williamson who planted a yew tree to commemorate the 800th Anniversary of the signing of the Magna Carta, which is considered by some as the birth of modern democracy. The yew tree was grown from a sapling of the famous Ankerwyke Yew Tree under which the Magna Carta was signed. We had our first evening bat walk in August 2016 with the Staffordshire Bat Group and identified Common and Soprano Pipistrelle as well as Noctule Bats. In October students from Rodbaston College placed humane traps in the wood which were opened the following day. Pupils from Lane Green First School attended the opening of the traps and we found: Wood mouse, common shrew, field and bank voles. Recently a geocache was hidden somewhere in the wood.